Grime and Eddie, proved flawed. Sorry, this is a very big article, and you need to read ALL of it, but I'll start it off. This should also be forced to be read by the 'Dogs don't lie' f*ckwits as well, all day, EVERY day, till they understand. The bungled inquiry into allegations of child abuse and murder at a Jersey care home will cost taxpayers on the island at least £20million, a Mail on Sunday investigation reveals today. Lenny Harper, the controversial detective who initially headed Operation Rectangle, also spent thousands of pounds of public money staying in four-star hotels and eating in some of London’s top restaurants. a ‘shambles’ by Mick Gradwell, the detective drafted in to replace Harper. The evidence of lavish expenses claims and extraordinary financial waste includes paying £93,000 to Martin Grime, the handler of the sniffer dog Eddie, who was charged with the grim task of finding children’s bodies that were supposedly entombed in concrete in the institution, known as ‘the Jersey House of Horrors’, which closed in 1986. 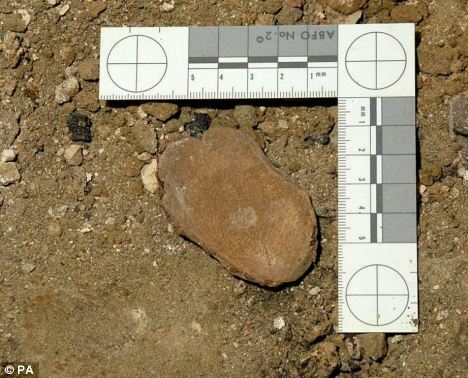 To date the ‘human remains’ that triggered the storm surrounding the case have turned out to be a piece of coconut shell. A leaked report by financial auditors into the investigation shows Grime received £750 a day for the first seven days’ work his dog did and £650 a day for 136 days thereafter. did not matter as Jersey is not in the UK. Meanwhile, colleagues of Harper have told how he clocked up a huge expenses bill by flying to London regularly to hold meetings with Scotland Yard officers. In total, Harper and his colleague PC Andrew Linsell, a Jersey traffic officer whom Harper appointed as his personal chauffeur, made 49 claims between January and August 2008 on their force credit cards for meals costing more than £50. More than £5,700 was on Harper’s card alone. Only one member of staff who worked at Haut de la Garenne has been convicted as part of the investigation so far. Gordon Wateridge, 78, was found guilty of eight indecent assaults on teenage girls and jailed for two years in August. Eddie the sniffer dog - the animal that had supposedly found the 'scent of death' in the Portuguese flat where Madeleine McCann disappeared - no longer had a licence for UK police forensic work when Harper started using him in Jersey. Eddie, whose owner, Martin Grime, was paid £93,600 for less than five months' work, triggered the first excavations by barking at a spot where Harper's team then unearthed what was claimed to be part of a child's skull. In fact, as a Kew Gardens expert has now confirmed, it was a piece of coconut shell. As the emails to Coupland demonstrate, at first Harper displayed a healthy scepticism. So what made him change his mind? According to a senior detective who worked on Harper's team, one factor was sniffer dog Eddie's handler, Martin Grime. 'Grime made a presentation, showing him [Harper] a video of the dog finding the "scent of death" in Kate and Gerry McCann's car,' the detective said. The team's interim report, seen by this newspaper, reveals that Grime was paid £750 a day for the first seven days he spent on the island and £650 a day for the following 136 days. 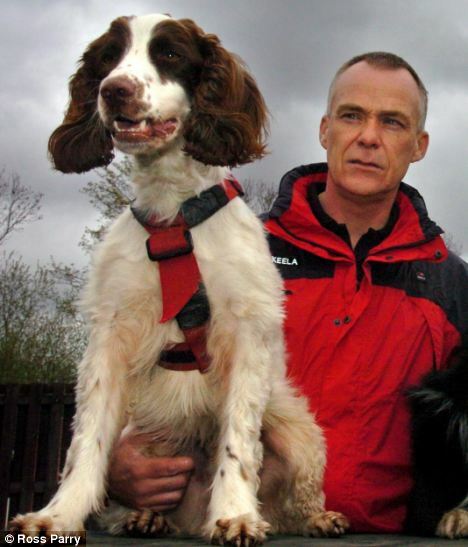 Yet Grime, who had left South Yorkshire police in July 2007 and was selling his dogs' services through his private business, had failed to keep up the Association of Chief Police Officers (ACPO) licence that certified Eddie as a police 'cadaver dog'. Grime did have a second sniffer dog, Keela, but its licence expired a fortnight after they arrived in Jersey. Grime admitted to The Mail on Sunday that the dog's licence had lapsed. He said: 'After I retired, my dogs were tested according to my own standards which are more stringent than ACPO's. But Jersey is not in the UK, so they were in their rights to employ whoever they wanted.' He said his fees were 'all agreed' and that he had given Jersey a 'discount'. Harper, it adds, did not consider this option. For much of the time Grime spent on Jersey, the report reveals, he was not even working with his dogs, but as an assistant to the Haut de la Garenne crime scene manager - duties for which he had no qualifications, and which did 'not justify the payment to him of £650 a day'. Once Eddie started sniffing, any notion of a strategy disappeared. Karl Harrison, one of the scientists Harper brought in from a UK company, LGC Forensics, summed up the inquiry's approach in a comment to the financial investigators. He said: 'We followed the dog. Where the dog barked was dug up.' This, says the interim report, was 'a fundamental error'. Re: Grime and Eddie, proved flawed. I agree with you Catkins. I am so blown away by this article...I could throw up. Grimes used that idiotic video as a promotional tool for idiot police forces to fall for. He's got rich off this stuff. He broke his own rule - he knew at that point that the dogs' alerts in Portugal HADN'T BEEN substantiated by forensic evidence. And another idiot copper in over his head let the dogs dictate the whole investigation. Shame on you Mr.Grimes, shame on you. Is this right Grimes was touting his promotional video whilst the McCanns were still Arguidos? According to the source in the article, yes. I should hope that Martin Grime is on Carter Ruck's wanted list after this article. Although this article brings into question Grimes motives, it still doesnt change the fact that without forensics, the dog alerts are meaningless. The issue with Jersey is not so much Grimes but Harper and his poor management of the case. He should not have hired Grimes for so long, he should have had a proper excavation plan, and Grimes should not have been paid for a job he had no experience with. Same with the PJ. Grimes was hired to bring the dogs to check certain locations and items for evidence of a cadaver. Nothing was found, although the dogs did alert. What I would like to know is did Grimes ever claim in his 'advertising' that the dogs had found evidence of death, or did he simply claim that they provided indications of where to search for potential evidence? I suspect that latter, and that Harper, like Amaral, has gone off half cocked. This then begs the question, did Grimes later know the path that Amaral was on, and did he try to dissuade him, or did he have NO connection to the case again, after providing the dog alerts? Grimes clearly had continued contact in Jersey and still the alerts were given too much credence, and failed to be supported by any evidence at all. Another question is, why let the dogs licenses run out? Surely that reduces the amount of work that he will get in the future. That bit just doesnt make any sense to me, as this is his business and I think he would be doing everything he could to make the dogs more marketable. I hope the ex members of 3as are reading this story! You know 'the dogs dont lie' and all that. What I'd give to see their faces now. I have never believed the death scent story re MM and apartment 5a and the car. Think this is just the start of the revelations tbh. A few years ago, at the height of the Provisional IRA activities, there was a bomb scare in a school where a friend of mine taught. The police took this particular warning seriously and came in with specially trained dogs to look for explosives. My friend accompanied the policemen as they toured the school. The dogs showed no response to anything for quite some time and then suddenly went absolutely wild in one room. Explosives? Er......no.....it was the room where the kids who brought packed lunches had left their lunch packs. The dogs were desperate for those ham sandwiches! Nothing else was found, fortunately, and the dogs were taken back to the station for lunch. Dogs are only canine, after all! Ssh! Maria, Don't tell those fools that make statements about dogs not lying that the dogs are only canine - I have always been very skeptical of the video (the video where the dogs get excited about the McCanns vehicle) that the antis raved about - I always felt the dogs were led to the vehicle which had Madeleine's picture. I am however, very bothered that Grime made so much money advertising his role in a missing child's case - seems like anyone who had anything to do with Madeleine's case made loads of money and that disturbs me. Well, you know my opinion about the dogs: not reliable. Also the continued mention of the dogs in Jersey, although they failed to find anything, really undermines the people that I believe did suffer from systematic child abuse, in a very similar way to how the Portuguese children suffered in the case of the state run children's home Casa Pia. The dogs failed in Jersey and they failed in Portugal. What the dogs alerted to in Portugal was planted, probably by someone desperate for an arrest, desperate to make some big filthy lucre out of Madeleine and by someone who never looked for Madeleine, because he has known all along where she is! Who could that be? Answers on a postcard please! Goncalo Amaral Your Time Is Nearly Up! "RICARDO PAIVA SHOULD RESIGN, HIS POSITION IS UNTENABLE - IF HE DOES NOT RESIGN, THEN SACK HIM! Rosie, I cant think of who.....aaammmm....eeerrrrr.....oh hell that might be.??? I'm quite sure the dogs were led or pushed in some way. Of course, it's possible something was planted, or that they simply responded to the wrong thing. Dogs wanting to please their master/mistress may respond to the wrong thing. They certainly must sense that they are being expected to respond in some way.